When they say the devil is in the details, this is what they mean. + 20% Primer-exclusive deal. Special thanks to MeUndies for partnering up on this Primer exclusive 20% off deal and for helping to make Primer possible. March, 2017, Kansas City, Missouri: My fiancee and I are invited to a dinner party hosted by one of her childhood friends and his wife. It’s a big night for me – my chance to, socially speaking, bring home the bacon by impressing one of my lady’s oldest, bestest friends. He’s a physician. His wife is a museum gallery designer. Their home is lovely. We arrive, bottle of wine and freshly baked cookies in hand. They ask us to remove our shoes before stepping on to their recently installed carpet. My stomach drops. A pair of athletic ankle socks I normally use for mowing the lawn. Small hole in left big toe; grass stains along the top and collar. I spent the rest of the night moving from position to position where I could conceal my disgusting plebeian feet beneath tasteful end tables, claw-footed chairs, and dark corners. Their toddler had nicer socks on than me. Fast forward to today and I still cringe when I think about that. I looked great from the ankles up. I was wearing quality brands that fit me well and matched the occasion perfectly without being bland or generic. But my style strategy had a fatal flaw: I neglected my socks. If I had been on top of my sock game I wouldn’t have showed up with my landscaping socks. And I would’ve had a much more enjoyable, confident, socially easeful evening. It’s easy to forget just how common it is for other people to see your socks, and as a result for your socks to have a major impact on your overall style. It’s the one reason I’m excited MeUndies, the e-commerce underwear company, is launching a new line of crew and no-show socks. Their socks are available for membership, just like their underwear. 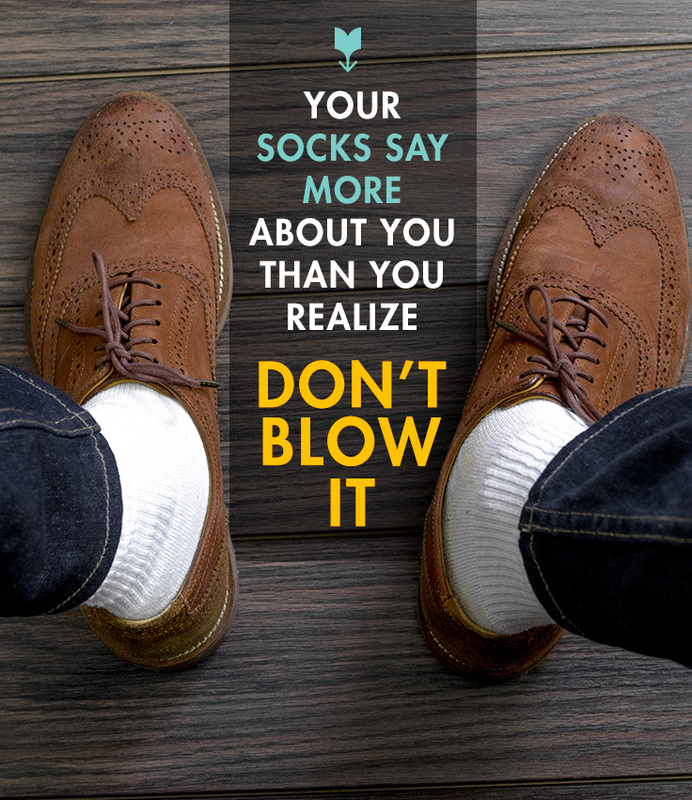 Think about it: You reveal your socks any time you go over to someone’s house who has a no-shoes rule, or settle in to watch a movie at home with your date. Heck, unless your pants are actually too long your ankles are exposed any time you sit down at work, home, or in public. We’ve already made the case for why you need to be on your underwear game, and why MeUndies has us covered. 99% more people are going to see your socks. So all the same rules apply, but with more urgency and impact. When it comes to good style, every guy knows the devil is in the details. Those details will always include your socks. Getting your socks wrong (socks with sandals, silly novelty socks, or what I see most often: athletic socks with casual leather shoes) pulls the whole house down on your outfit. It’s like a $500 white dress shirt with yellow pit stains. Do I see a lot of worn out, stained, hole-y, overstretched, or lone wolf pieces? Do I like what those socks say about me? If the answer is “yes” to the first question and/or “no” to the second question, read on. At the dinner party, I couldn’t help but notice what socks other guys were wearing. I was kind of shocked. I consider myself to have solid style, but I didn’t have anything on the level of my peers. It was in that moment I realized men’s socks have come a long way from the Hanes of my youth and the Gold Toe of my dad’s professional life. Take the MeUndies ProModal Crew, for example. Style-wise it tracks a more traditional dress sock, with a finer build and higher cuff to secure it from slipping. Peek beneath the hood, however, and you’ll see MeUndies is innovating the form. The sock is made from pro-modal cotton, a blend of modal and tencel yarns. Modal yarn is derived from birch trees and provides exceptional softness, while tencel yarn is derived from eucalyptus and provides good moisture transportation. These are the same higher end yarns you'll find in premium boxer briefs. The result: a sock that provides significantly more comfort and elevates moisture management than a traditional 100% cotton sock. MeUndies is also debuting a highly engineered Supima cotton sock that’s great for playing ball. Supima cotton is grown in the USA and makes up less than 1% of cotton grown in the world. What sets Supima apart from other cottons is an extra-long fiber that gives it more strength, softness and color retention than traditional cotton fibers. The result: a better wearing, better performing sock that lasts you longer and avoids that rough, dehydrated feel of consumer brand athletic socks. Whether you prefer your sock style to be more conservative or more outrageous, MeUndies has you covered. Just like their underwear, MeUndies is offering their sock line-up in multiple flavors to suit a range of tastes: Classic and Adventurous. This allows you to mix and match colors and patterns depending on whether your sock game needs to be subtle or colorful. It also means the truly completist gent can coordinate his socks and underwear. Especially impressive if you expect to have (ahem) an audience. No show socks are an essential when getting the sockless look – otherwise you'll be burning through stinky shoes left and right. 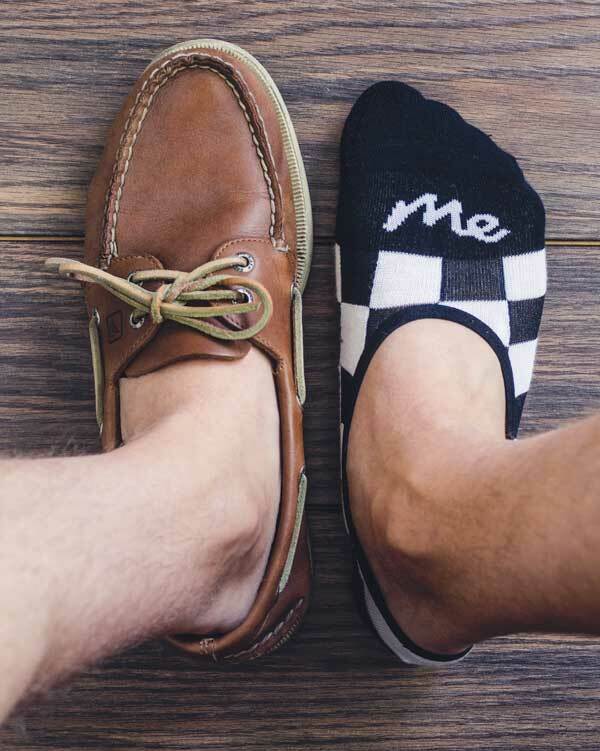 Your socks should complement your overall intentional style, and the potential for a ratty or poorly chosen sock to undermine your program is real – and I’ve experienced getting it wrong. Spectacularly wrong. 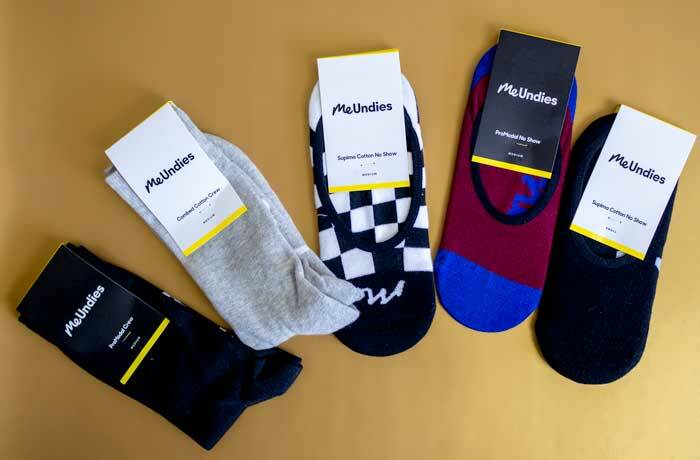 MeUndies makes it easy to build an adult sock drawer that fits your style and character, and for less than you’d likely spend at retail outlets. I’m excited to be an early adopter at MeUndies, and they're offering Primer readers 20% off their first order for the next 24 hours! Great article Stilman, as someone who prefers bolder socks and in the summer a slightly higher than normal pant break Me Undies new socks sound perfect. Just a side note Andrew, do you know where the shoes in the first picture are from? I’ve been looking for a good pair of tan suede brogues for a while and haven’t found any. The point of this article is great, a lot of guys forget about their socks but this article in particular seems to be following a trend of just being an advertising piece for a, in my personal view, less than top quality brand. What happened to the articles about bettering yourself without throwing unwieldy advertising in the writing? Hey Cameron, thanks for the comment. I’ll let Andrew speak to the business side of things, but I feel comfortable pointing out we do a lot of content every month that a) isn’t sponsored, and b) has nothing to do with style/brands (though that is our wheelhouse!). As always, thanks for being a reader, and sharing your thoughts! Socks are hard. For the longest time, I struggled to match socks to my outfit, unless they were black, and the latter would haunt me of childhood memories of old men wearing black dress socks with shorts on weekends, because that’s all they owned. Then I’d struggle to find certain socks I wanted, or needed, because no one made them at the time. I’ve gotten over these problems, but yet, I still have a sock problem today. I now have 4 small drawers full of socks, and they’re somewhat organized, but finding the right pair is still overly complicated. I need a better system for organizing my socks. I typically stay away from any sock with a high % of cotton in them. Just like a cotton towel that you dry off with after a shower, a cotton sock absorbs moisture and tends to hang on to it. Pair that with a hot environment (inside a shoe) and friction (walking/running) and you’re asking for bacteria build up (stinky!) and potentially hot spots and blistering. A better option may be to buy a full synthetic blend (nylon, polyester, etc). This will transport moisture better, but can still retain odor. My absolute favorite sock material is merino wool, even in the summertime. Merino wool is naturally anti-microbial (less stink) and has great thermo-regulation properties as well, meaning your foot stays warmer when it cools down and actually cooler when it heats up. They’ll cost a little more money up front, but completely worth it! After all, the only thing worse that dingy, white mismatched socks is stinky, dingy, white mismatched socks!